Reviews Bee chose the Miele S7210 Twist upright vacuum cleaner as the top rated vacuum cleaner, because it rated the highest in our algorithm, as we took into account the expert popularity, expert ratings, consumer ratings, consumer popularity score and consumer complaints. 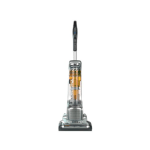 With a score of 9.1, this vacuum outperformed all other vacuums in our Top 10. The Miele S7210 Twist has a sprint blue color with a warranty of 1 year on parts and labor and 7 years warranty on casing and motor. The Miele vacuum cleaner has a patented SwivelNeck technology which gives it extreme maneuverability. The vacuum cleaner has automatic height adjustment. It is designed with the super air clean filter and has a Miele’s airclean sealed system. It comes with great accessories like the integrated dusting brush, upholstery tool, and crevice nozzle. 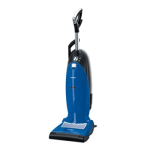 The great feature about it is that it has a rotary dial speed control, which has four power settings in which you can put the power of suction to the type of surface that is being cleaned. Miele’s S7 Twist vacuum also features a single electro brush that follows the outlines of your floor, which automatically adjusts for different carpet depths and surface covering and that in return provides with even consistent suction and gentle cleaning. The Twist features Miele’s air clean sealed system, comprised of an air clean filter bag and air clean filter that captures and retains 99.9+% of dirt, dust, and allergens. 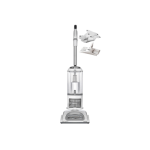 Experts recommend Miele S7210 Twist as a reliable upright vacuum cleaner. It’s the least expensive of the upright Mieles. The Miele twist upright vacuum has put a quality system within their reach, because it is engineered very well. Customers receive a highly rated vacuum cleaner with a variety of options. One great feature is the 12-foot integrated flexible hose, which allows you to reach corners. Another feature is that it has 4 number of power settings, so a consumer can adjust it to the floor type he is using it on. 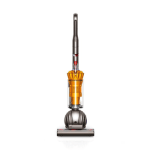 Consumers get to have the vacuum cleaner with accessories like the reinforced ergonomic handle, dusting brush, upholstery tool, extended crevice nozzle and anti-tipping device. 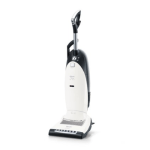 Experts rate the Miele S7210 Twist vacuum cleaner 9.9 which is the highest rating from the top ten vacuums. 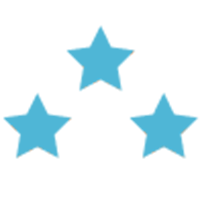 We did this rating by Reviews Bee by compiling expert ratings from multiple trustworthy websites in order to provide you with the most comprehensive and unbiased rating available on vacuum cleaners. In the component of expert ratings in the Reviews Bee Score, Miele S7210 Twist upright vacuum cleaner was rated higher than any other vacuum cleaner in our Top 10 as mentioned before. Through this, we know that it is a favorite among experts, Miele S7210 Twist can stop mid-vacuum while you can draw out the 12-foot hose out, with an awesome aluminum construct stick attachment. As the Miele S7210 Twist upright vacuum cleaner has a 54-foot cleaning radius, according to experts, it is very convenient to use. 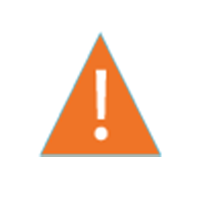 Most websites have consumer rating stars with the reviews and every product has consumer rating stars. In order to find out the consumer rating component of Reviews Bee score we averaged these star ratings. After reviewing over hundreds of consumer reviews from several different trustworthy websites, Reviews Bee scored Miele S7210 Twist 7.9, placing it in the second place of our Top 10 vacuum cleaners. Customer reviews have so many reviews with a wide range of different opinions because they are a point of view of only one person with a single vacuum cleaner. Consumers tend to like it because the bottom of the vacuum cleaner is metal and the beater bar has an indent making it easy to cut off any strings, hair or impediments. The experts contrast and compare the machine, its features, its services, its costs thoroughly while an individual might base his review on one single event whether it is a good one or bad. Reviews Bee looks beyond the star ratings of the consumer reviews and looks deeper to develop our Consumer Popularity Score. To calculate this score we read each available consumer review and consider the trends and shared experiences found among customer comments. Consumers are satisfied with the Miele vacuum S7210 and appreciate it for its filter bag change feature and the air clean sealed system construction. The vacuum cleaner is regularly praised for its simplicity. Customers say that it is well designed and relatively quiet for a vacuum, they say that it has great suction, and switching from hard floor to carpet is easy. Customers love the way the machine twists to go around corners, which make vacuuming less strenuous. Customer loves it, because when it is on the carpet mode pushes itself and is easy to use on thick carpets, plus it also works great on tiles and linoleum. The consumer complaints from the Miele upright vacuum reviews are minor. Consumers find it annoying to take the hose out when they just want to do a small cleaning job. When the wiring is still wrapped on its mounts on the vacuum, it makes it difficult to take the upholstery tool out and back in. Another annoyance found by consumers is that when the front rubber wheels catch dust you have to take out the curd. Consumers find the bags very expensive. The cord tangles up easily and it weights heavy for some consumers. The Miele vacuum cleaner reviews show that the vacuum has real nice touches to it that make it a durable and reliable vacuum cleaner. It does not occupy space and it can lay flat for getting under furniture, it can twist easily, the bags are made of a really high-quality near fabric material, the bags are easy to change, and they get connected to the vacuum cleaner with a well-designed mechanism.